Today is Friday, I’ve had a long week and I’d like to celebrate the coming of the weekend with a celebratory meal. The only problem is that I’m tired. 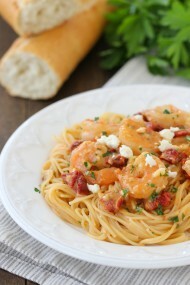 The solution – Shrimp Scampi! 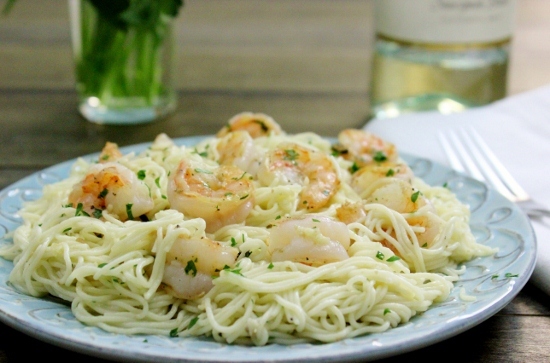 Shrimp Scampi is beautiful in it’s simplicity, but sure doesn’t lack in flavor. With perfectly cooked, plump and juicy shrimp, served with fresh parsley, basil, white wine and a bit of garlic, each component sings in this gorgeous composition. 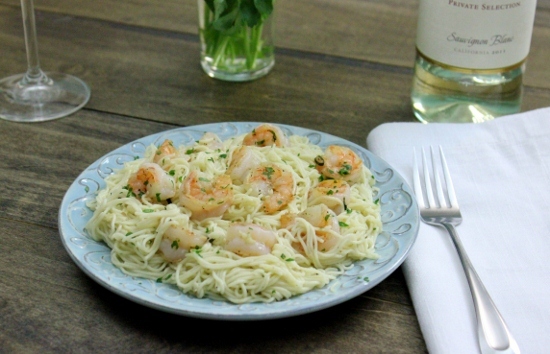 Perfect for date nights or a simple dinner solution, Shrimp Scampi will work every time. The entire meal will be ready in the amount of time it takes to cook a pot of pasta. Bring water to a boil and cook pasta according to package instructions or how you like them, al dente or well done, whatever suits your fancy. Meanwhile, place the shrimp on a paper towel and blot dry. Bring heat oil in a skillet. 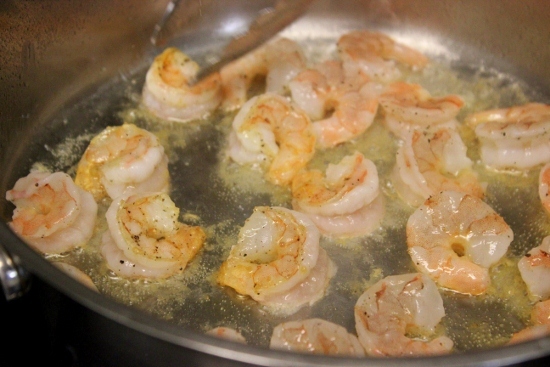 Add the shrimp quickly to the skillet, seasoning with salt and pepper and placing it in a single layer. Cook for about 3 minutes, just until it’s golden on one side and pink on both. Take immediately off the heat and place in a covered bowl to stay warm. 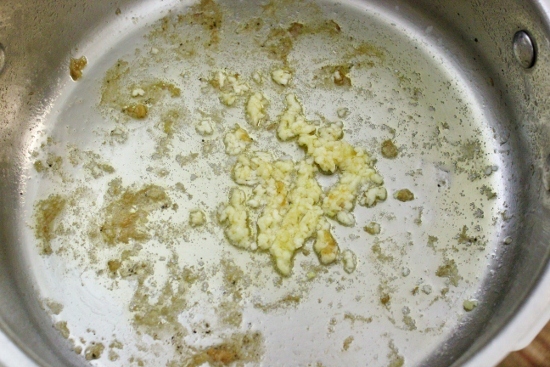 Add the garlic to the skillet and cook just until you smell the aroma of garlic, about 30 seconds. Add the wine and whisk until you get all the delicious, yummy bits off the bottom of the pan. Reduce the wine on high heat for about 3-5 minutes. Off the heat, add the butter and whisk until it melts. Add the herbs and shrimp. Toss to combine. Toss with the pasta. Meanwhile, place the shrimp on a paper towel and blot dry. 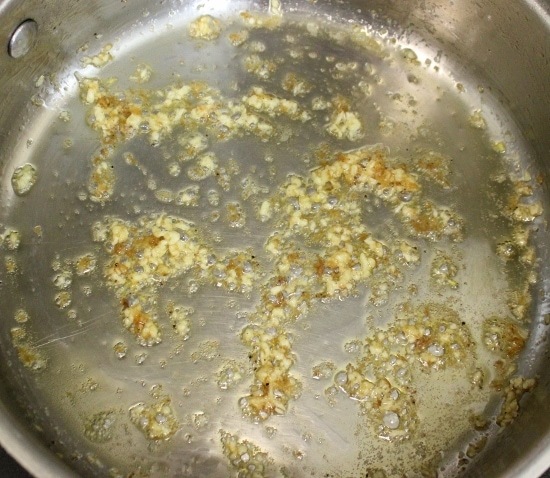 Bring heat oil in a skillet. 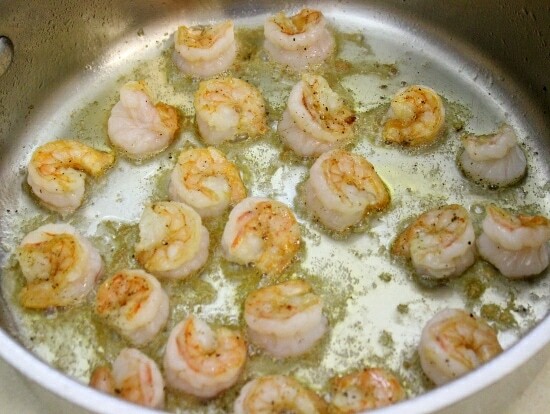 Add the shrimp quickly to the skillet, seasoning with salt and pepper and placing it in a single layer. Cook for about 3 minutes, just until it's golden on one side and pink on both. Take immediately off the heat and place in a covered bowl to stay warm. 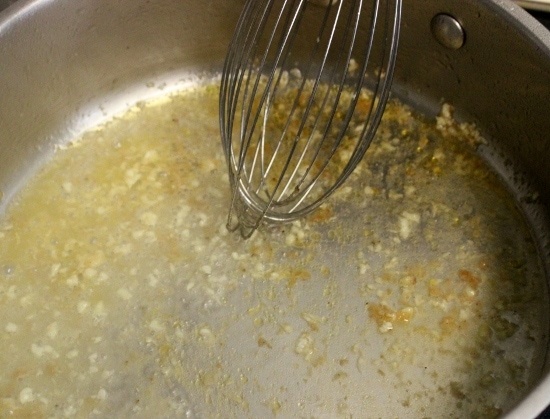 Add the garlic to the skillet and cook just until you smell the aroma of garlic, about 30 seconds. Add the wine and whisk until you get all the delicious, yummy bits off the bottom of the pan. Reduce the wine on high heat for about 3-5 minutes. 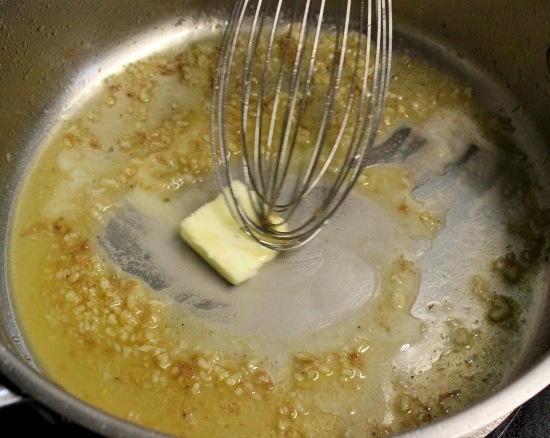 Off the heat, add the butter and whisk until it melts. 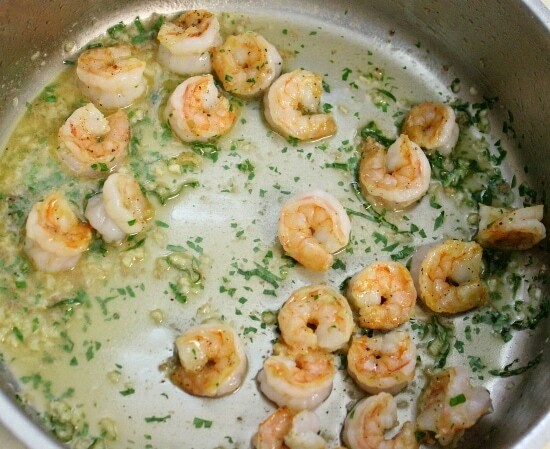 Add the herbs and shrimp. Toss to combine. Toss with the pasta. This looks amazing! I gotta try it! Are you using frozen shrimps? Do you have to cook them in water first or do you just put them frozen in the skillet? Natasha, I use raw shrimp. 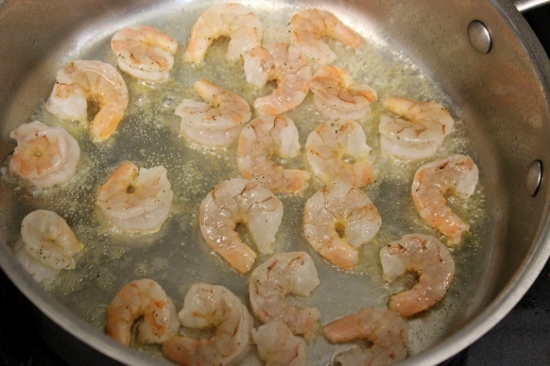 Shrimp cooks VERY quickly and if you cook it before adding to the skillet, it will be rubbery. You can use broth and a bit of freshly squeezed lemon juice. Made this dish again today and cant get enough of it, my hubby and I are in love with this dish. So simple and easy to make and the end results are oh sooooooooooooo AMAZING:)This recipe is a must for everyone to try! I’m so thrilled to hear that you like it. My husband and I had this for dinner the other day too. Simplicity is bliss! 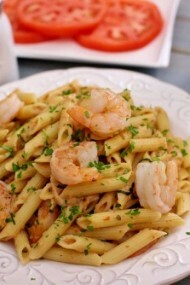 This shrimp scampi is delicious and flavorful! It literally came together in a few minutes and was a big hit for my husband and I, too bad my kiddos don’t like shrimp…they’re missing out…hehe…thanks Olga! Absolutely! That’s my philosophy. I love simplicity. 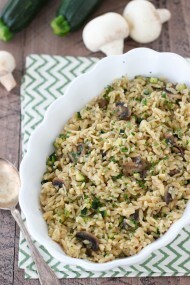 Dear Olga, Thank you so much for posting such an amazing recipe! Can you please post a picture of the bag that the shrimp come in? I would like to know what exact shrimp you use for this dish please. And what store do you buy this shrimp at? Thank you. I always buy frozen, raw shrimp, Victoria. I buy them in any grocery store in the freezer section.